NEARLY one-in-four motorists hasn’t picked up a Highway Code since they first passed their driving test, according to data gathered by Halfords Autocentres as part of its Roadworthiness Week campaign. 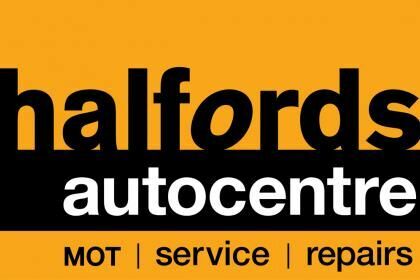 The nationwide servicing and repair chain surveyed over 22,000 drivers as part of the Halfords Autocentres Roadworthiness Quiz, which revealed the disturbing statistic. A total of 36% of drivers confessed to not reading the rules of the road since passing their driving test, with one-in-five drivers (20%) admitting it was over a decade since they picked up the road users’ manual. As well as the Highway Code question, motorists can test their knowledge of ‘queue jumping’, find out the laws around windscreen washers and tyre tread depth, and also gain tips on how to ensure their car passes its MOT first time around. “As well as being a bit of fun, our interactive quiz aims to broaden drivers’ knowledge and help keep our roads safer, as well as put road safety and preventative maintenance front-of-mind for those undertaking long road trips during the upcoming February half-term ,” said Randall. The initiative has also won the support of Highways England, which is very keen to keep the country’s network of motorways and major A roads running smoothly and safely during the first big getaway of 2019. Richard Leonard, Highways England Head of Road Safety, said: “We want all drivers to arrive at their destinations safely, and we urge Motorists to make sure they are ready for their journey by checking their vehicles beforehand. There are 85,000 breakdowns a year on the country’s roads, and of those around 40 per cent are preventable with better vehicle maintenance. Fewer breakdowns means better safety all round, for drivers, their passengers and those involved in recovery and incident management on the country’s roads. More than 250 mosque’s help Keep Britain Tidy!